Treehouse is an award-winning, fun, easy-to-learn game for two to four players. Your goal is to rearrange your pyramids to match the set in the center of the table, using only the moves you roll on the custom die. Rules to a bonus game, Pharaoh, are included, along with a custom die and special gameboard. 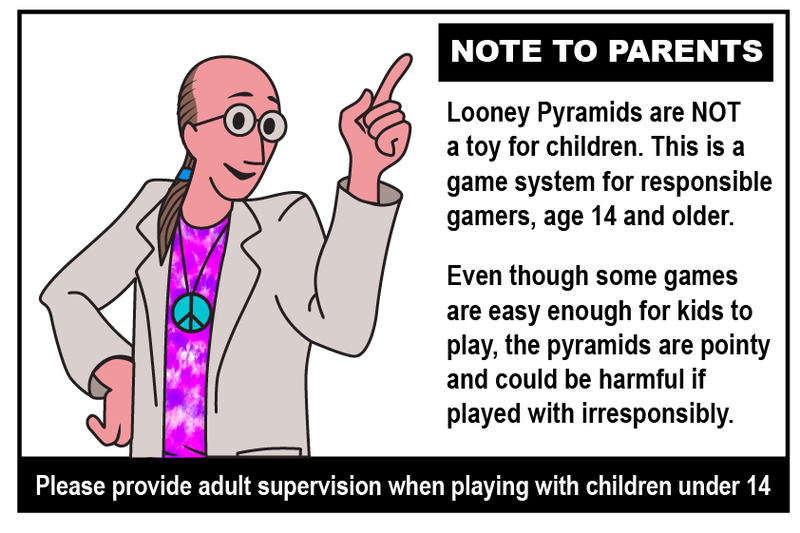 Along with this, a Pocket Guide promoting the Looney Pyramid game system, and more games that can be played with it, comes with Treehouse.